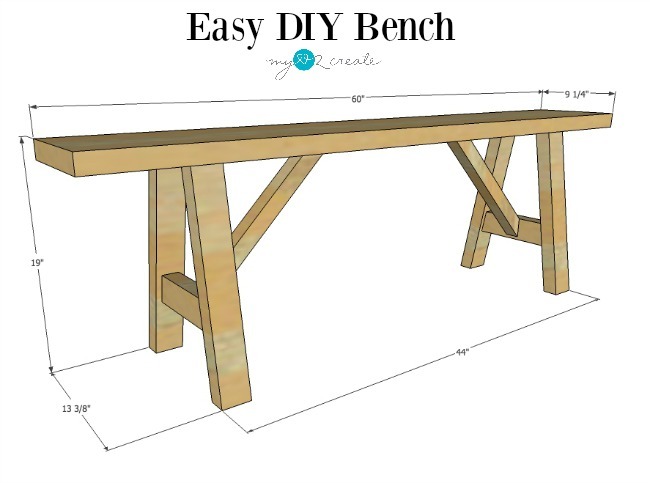 Hello, I am so happy to share my Easy DIY Bench Plans with you today! This farmhouse style bench is perfect for your entryway, as a decorative piece, or at your kitchen table! I designed and made this bench to be an easy build, especially for someone with limited tools. I love using pocket holes on my projects and this one could easily be built with them, but I wanted to make it without them so if you don't have a Pocket Hole Jig you don't have to worry! Build two sets of leg sections. Be sure to use wood glue and clamp your pieces while you drill to keep them in place. 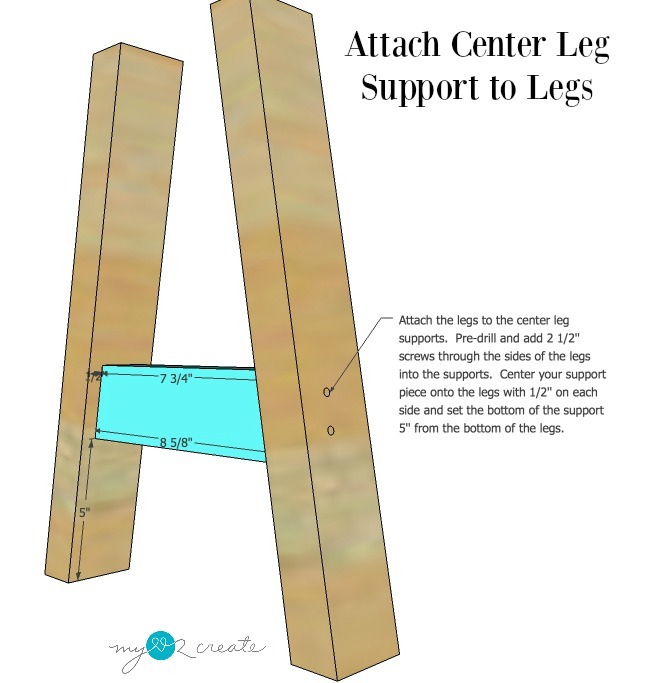 Place the top or bottom of the legs flush with a flat surface while you build, this will help to keep everything square. Use wood glue and clamp legs to bench top before pre-drilling and putting in screws. 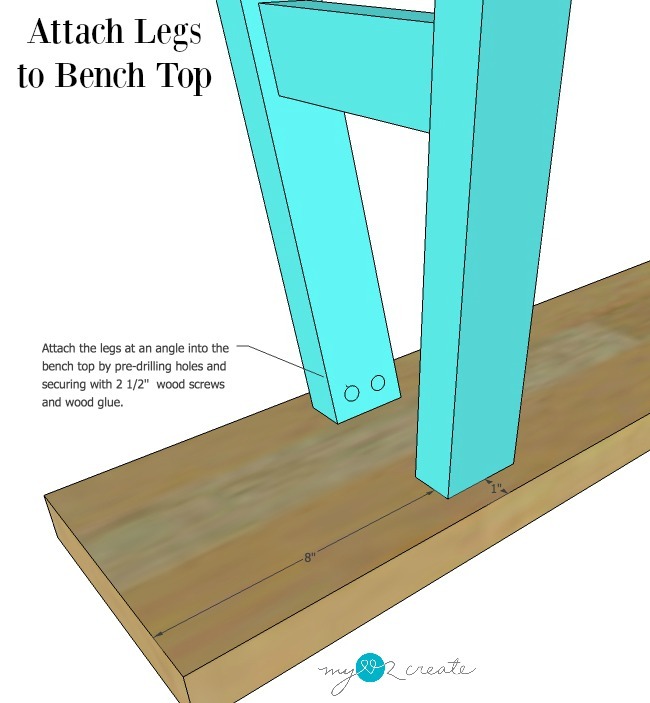 Then drill at an angle into the legs and the bench top. 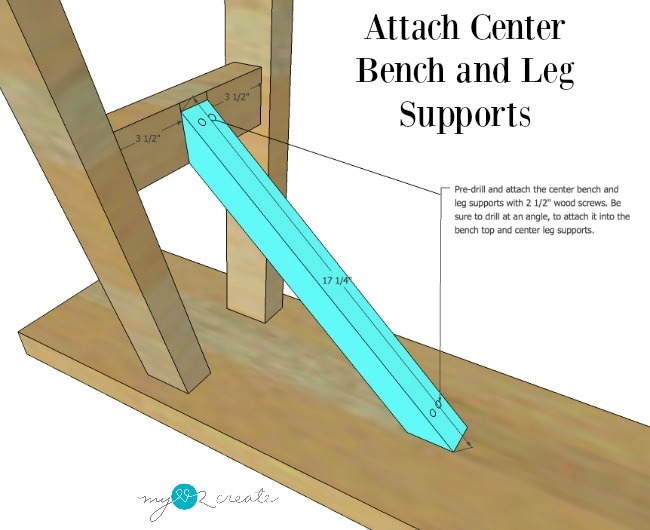 Attach leg sections on both sides of bench top. This is one of the most important steps to make your legs really sturdy. Use wood glue and attach screws at an angle in to the supports and bench top. If you have a nail gun or hot glue handy, either one will help to secure the boards in place while you pre-drill and add the screws. 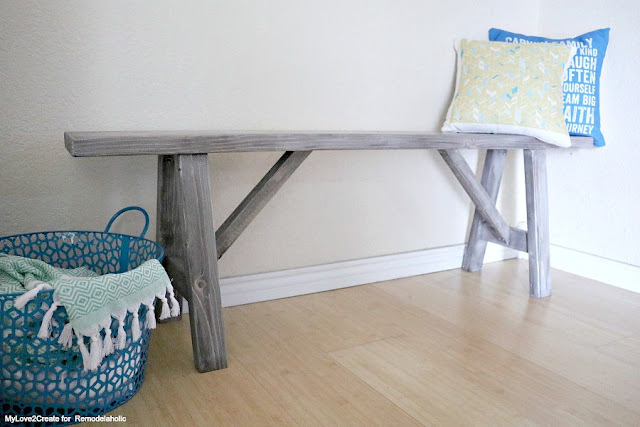 Once your bench is build sand and finish as desired! For more details check out my tutorial at Remodelaholic. I smiled when I read this post! You make my task easy. Really, Love your plan. I have a plan to make a bench within these week. Hope, I will finished it successfully. Have a great weekend! Yay Rebekah!! I am so glad! Good luck on your bench, I would love to see pictures when you finish!